Keith Urban on Walmart Soundcheck. Check out the country superstar's live Nashville Soundcheck performance at. Wallpaper and background images in the Keith Urban club tagged: keith urban singer country nicole kidman country music walmart soundcheck performance interview. 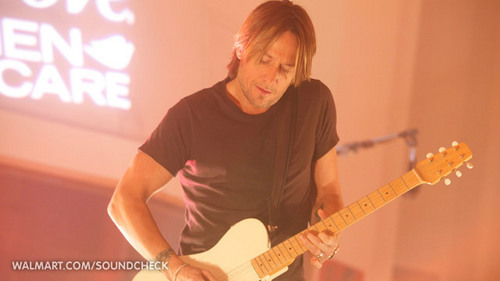 This Keith Urban photo contains guitarrista,, guitarrista and guitarra.